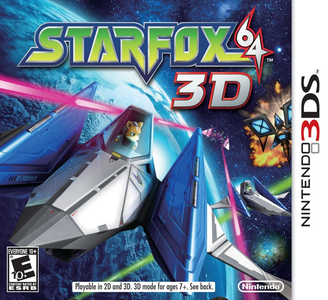 Star Fox 64 3D is a video game for the Nintendo 3DS and is a remake of Star Fox 64. It was co-developed between Nintendo EAD and Q-Games, and was published by Nintendo. Star Fox 64 3D works excellently in Citra. Graphically, the game looks great with minor graphical issues, but requires more powerful hardware to achieve higher frame rates. Aquas is upside down though. Blank Save - Start of Game Freshly made save file. Required to get past the "creating save" screen when you first boot the game. Zero-byte save files Zero-byte save files. Required to get past the "creating save" screen when you first boot the game.